As I mentioned in his birth story, I prepared in a myriad of ways during the months before my son’s birth. This preparation and the week-long build-up helped me cope with his super-fast birth! Having learned from my daughter’s birth, I most wanted to change two things this time: to have a birth team that was empowering rather than authoritative, and to have a postpartum experience that helped me to feel supported and not alone. I really wanted my births to be as low-intervention (“natural”) as possible, so I wanted to avoid being induced, which can kick off a spiral of increasing medical interventions. A few of these preparations were to support the start of labor. I know, when you are pregnant, the last thing you need is a longer to-do list or more “shoulds” in your life. But to me, the evidence is just too powerful for the benefits of breastfeeding, vaginal birth, and skin-to-skin time with baby right after the birth. I wanted to know I did everything I could to bring them about. Everything that I did to give my baby a better start helped me feel better physically and emotionally too, which made all the difference for me. You may notice that the costs of some of these resources can add up. I committed my savings to all of this, although it hasn’t been easy, and I’ve adjusted my expectations knowing I will have to pay out of pocket for the best health care. The disappointing reality in the United States. That said, my insurance company reimbursed me for more than half of my midwife’s fee, so that I paid out-of-pocket only about half as much for my homebirth as for my hospital birth (for which the total bill was more than $30,000 compared to my midwife’s $4500). I will link to low-cost options for these resources as well, because many exist. Here is a list of many of the resources that helped me throughout my second birth experience. Homebirth midwife — Homebirth, period. A midwife visits you in your home and talks with you for an hour or more about everything you’re going through. She visits you six, yes SIX, times during the two months after the birth. Her care builds you up to know your own body, understand the signs from your own baby, rather than relying on information mediated through technology or expert doctors. I found that gaining this information from an authority figure made me an insecure, even depressed, expecting mom. The midwife experience gave me profound confidence and empowerment to care for myself and my baby with a sense of ease. 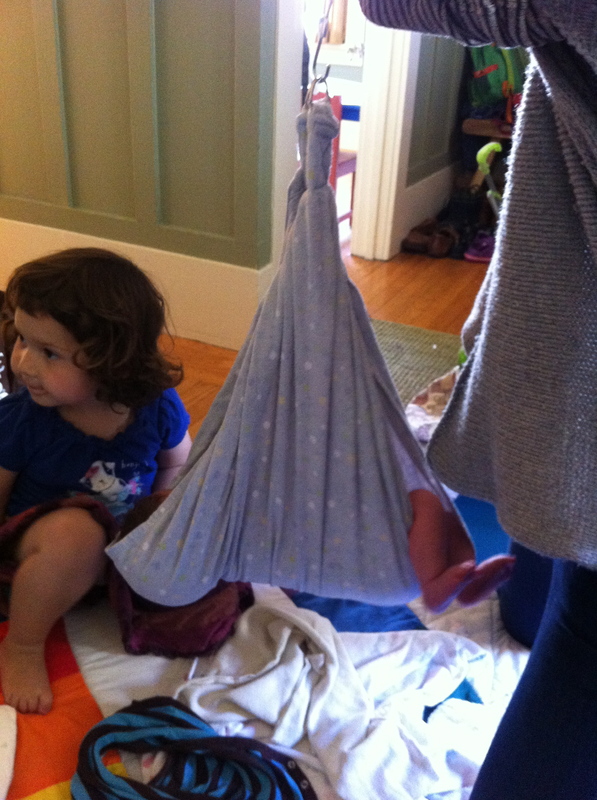 Homebirth is not a weird hippie fringe thing. A friend helped at my birth, and after her own two hospital births, she was struck by how calm and unstressful was the environment at home, compared to the hospital with all of its demands on you. She remarked that homebirth should be for every woman (for low-risk pregnancies). My midwife was Kelly Murphy and there are so many amazing midwives in the Bay Area and everywhere! If you are curious, Homebirth 411 monthly info session at Natural Resources is a great way to start. My doula was Alexis Cohen and here are Bay Area resources: San Francisco Doula Group; Doulas of the East Bay; Blossom Birth (Peninsula and South Bay); and Marin Birthing and Parenting (North Bay). All of these organizations can help you find a low fee doula. Prenatal Yoga — Linked to improved physical and emotional outcomes during pregnancy and birth, prenatal yoga made a huge difference for me. After sitting at a desk for hours each day during my first pregnancy, I feel that prenatal yoga helped my body be in the best form for birthing a baby. It helped my physical discomforts, my mood, and my confidence in my physical ability to give birth. I also took postpartum mom and baby yoga as the first step in regaining strength and fitness after the birth. I took classes with Jane Austin who has a terrific DVD for sale, too. Many hospitals have FREE prenatal and postpartum yoga, including St. Luke’s in San Francisco. Acupuncture — I received acupuncture from a practitioner with expertise in women’s health and pregnancy. She helped me with physical discomfort, emotions, and preparing for birth both physically and mentally. I was concerned about going past my “guess date” to avoid induction and the medical spiral, so I began acupuncture weekly after 36 weeks. Both of my children were born within a day of their due dates — of course this could be for other reasons, but I have a lot of confidence in acupuncture’s effect on my health and wellbeing. I received acupuncture from Linda Gruber. For low fee treatment try Circle Community Acupuncture, at $15-$35 per visit. Depth Hypnosis — My doula and acupuncturist supported me through depth hypnosis and guided meditation. My second birth happened so fast — in less than three hours — that this preparation played a big role in helping me enter the altered state so quickly. During the week before the birth, this helped me gradually build up to an altered state of consciousness and to bring it on in a conscious way when I needed to, to manage the physical and mental intensity of birth. My visions and spirit guides also provided comfort and guidance during late nights with the baby and times when I felt alone or overwhelmed. Rachel Yellin is another well-respected provider in the Bay Area. Herbs & Supplements — My midwife and acupuncturist recommended brands and doses for probiotics, vitamin D3, and fish oil, all supplements so commonly recommended for pregnancy I was taken aback that my hospital-based providers didn’t mention them. I had great success with herbal remedies from Wishgarden Herbs, especially for insomnia, after pains, and postpartum hormonal rebalancing. I used an herbal tincture that supports the start of labor, beginning at 36 weeks. I also consumed my placentas: my midwives cut it into small pieces and froze it, and I blended a piece into a smoothie each day. Preparing with Older Siblings — As I mentioned in my son’s birth story, my older daughter aged 3 was at home for his birth, too. She had a special adult friend of her choosing who stayed with her throughout the night. We all prepared by: reading the lovely children’s book about a homebirth, Hello Baby by Jenni Overend; by watching some of these mellow photo slideshows of homebirths; and by play acting together making birthing sounds and practicing with baby dolls. My daughter’s presence was never a hindrance to my birthing focus, since I knew she was cared for and comfortable. Here are more resources from Code Name: Mama. Mama Blessing — Instead of a baby shower to give me material gifts, I gathered a group of close friends to shower me with emotional and spiritual gifts. I wanted to sit in a circle of other mamas whom I trusted, to gather strength through their stories and to share my hopes and fears. Then, seeing each of them during the postpartum time was a warm boost of reassurance that I wasn’t alone and that I was understood and loved. I prefer not to use the term blessingway to avoid appropriating from native communities and their traditions. I found many online resources for creating my own Mama Blessing, like this detailed list from Code Name: Mama. Many doulas are very talented at facilitating them, like doula Reise Tanner who led mine. 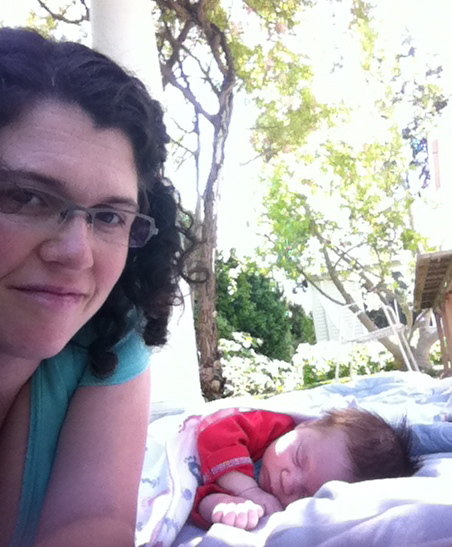 Postpartum Support — I struggled after my older daughter’s birth, as I have written before. I knew I wanted to ask for help and support ahead of time. I knew that in the darkest moments it would be hardest to ask. My second postpartum experience was so much better because of all the resources I have already listed. All of these practitioners and supporters were in my life postpartum. It was a game-changer to have many friends with children and babies, which I didn’t have with my first child. Being part of a community that offered nurturing and understanding was a lifesaver. We should not be isolated during this time! Here is a list of specific “asks” I made to friends and family for support during the postpartum time. Postpartum doula. Yes! Get one! You deserve it! Ask friends to donate to your doula fund as part of your baby shower. Browse my earlier posts for the many ways a postpartum doula can help. Lifelong friends. I personally asked childhood friends who live far away to reach out after the birth. I received daily texts, phone calls and messages, postcards, and little gifts. This contact felt so so good. My childhood friends live far away, and not getting to raise our children together has been sad. This was a change to reconnect and strengthen our bonds as new mothers. Meal deliveries. Families from my older daughter’s preschool brought a constant stream of delicious and healthy meals, coupled with short visits. Basically a hug and a warm meal, perfect! Family visits. My mom came to visit after a week. My older daughter was craving this one-on-one attention! I always encourage new moms to be selective about family visits. Some family members get that their job is to mother you, do housework, or care for your other kids. Some put more stress on you to be a hostess, or offer unwanted advice, which is the last thing you need! Ongoing play dates. So, these postpartum weeks fly by. People think you are special for four or six weeks. Then what?? The challenge is just beginning! With my first birth facilitated Mom and Baby support groups, like Yeshi’s Group, maintained my sanity. This time, I have set weekly dates with my existing community of moms. We meet at the park or at each other’s houses every week. There are always grandmothers and nannies as part of the group; other loving women who care for our children but who got a better night’s sleep than us new moms! Psychotherapy. I wish there was less stigma around therapy and mental health. I wish every new mom had access to affordable counseling. I and many, many new moms have benefited from high-quality psychotherapy with someone who knows about pregnancy, birth, and postpartum. And so so many families I know have found that couples counseling is a necessity for keeping your relationship strong during these challenging early months and years. You don’t need to be “sick” for therapy! It can help you and your family thrive during these truly challenging times. Phew! I’m *think* that’s all of them! I realized that I needed to ask for help and to take care of myself before, during and after childbirth. I needed all these friends and practitioners to nurture me so that I could nurture my baby. To be the best mama I could be. But also, just for ME! In so many ways, this time I am able to really enjoy the baby stage, more than the first time. Without so many of the fears and anxieties, I can ride out the sleep deprivation and hormonal roller coaster. I actually enjoy the quiet midnight moments when it’s just my baby and me, the house quiet and all sleeping. Still, it’s not easy. Taming my temper when it flames up, provoked by normal toddler challenges, is tough. At the end of every day I have regrets and I have satisfaction. I accomplished so much. I fell short in so many ways. But prioritizing self-care and building a community around myself have made all the difference. I hope you will find your own ways, as a new mama or an old timer, to feel supported and to thrive!